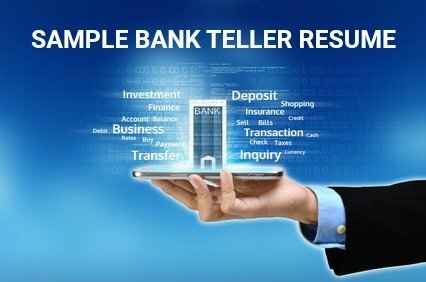 Bank teller resume objective samples to create a convincing resume. Employers spend very little time deciding whether to accept or reject a resume, your objective statement is key to getting your resume read and to progress to the next stage of the hiring process. These easy-to-adapt sample objective statements ensure that your resume stands out and receives the attention it deserves. Set yourself apart from the competition with a well crafted banking resume objective that quickly and concisely presents your relevant skills, abilities and experience. Would-be employers are not impressed by the one sentence, what-I-am-looking-for type of resume objective. 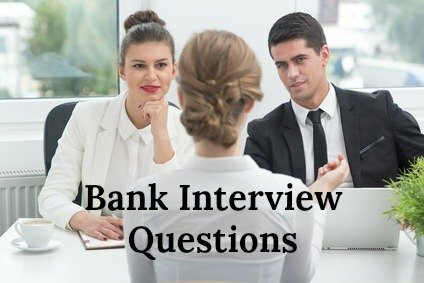 They want to see, at the top of your resume, a clear summary of the job-related skills and strengths you bring to the bank teller position. These useful resume objective statements can be customized for your own use and for the specific bank teller job opportunity you are applying for. Hard working and reliable customer service professional seeking a teller position at XYZ Bank. Proven ability to serve clients in a professional and friendly manner while maintaining high levels of accuracy and efficiency under pressure. Track record of consistently meeting performance standards and achieving sales referral goals. Seeking a position with ABC Bank where I can combine my knowledge of banking practices with my passion for providing outstanding customer service. Demonstrated success in providing timely and efficiently completion of over X client transactions per day while keeping accurate records in strict compliance with bank procedures. Impressive record of proactive participation in promotions and cross-selling of bank products to drive sales. high levels of productivity to meet and exceed scorecard goals. consistent reconciliation of cash and transactions to within the required balancing standards. achievement of sales and referral targets by providing an outstanding customer service experience. track record of reliable attendance and completion of work schedule requirements. Resume objective phrases that demonstrate the skills, strengths and abilities would-be employers look for in a bank teller. Select the relevant phrases to build your own own resume objective statement that directly meets the needs of the specific bank teller position you are applying for. Comprehensive knowledge and understanding of banking practices and procedures. Accurately and efficiently conduct all transactions in accordance with established bank procedures. Proven ability to drive sales through exceptional customer service thereby actively contributing to the success of the branch. Excellent computer skills with solid working knowledge of applicable software programs. Demonstrated ability to process between X and Y customer transactions per hour with accuracy and professionalism. Strong track record of cross-selling bank services and products and making successful sales referrals. Valued team member willing to always go the extra mile for the success of the team. Able to communicate clearly with customers and resolve customer issues as they arise. Provides superior service while strictly adhering to company, regulatory and audit guidelines. Enhances customer satisfaction by developing solid professional relationships with diverse customers. Attendance record of reliably working flexible and extended hours to meet business needs. Demonstrated success in maintaining composure and a positive attitude while dealing with demanding customers. Able to quickly learn business products, services, policies and procedures, regulations and effective sales techniques. Strong organizational skills with the ability to efficiently prioritize a demanding workload in a fast-paced environment. Proven results in meeting service and sales goals in a results-driven environment. Ability to effectively engage with customers, build rapport and handle issues while identifying the customer's financial needs. Careful attention to detail resulting in very high levels of accuracy and negligible discrepancies. 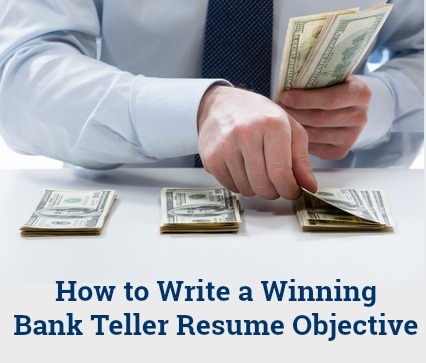 Find out more about writing your job-winning bank teller resume.